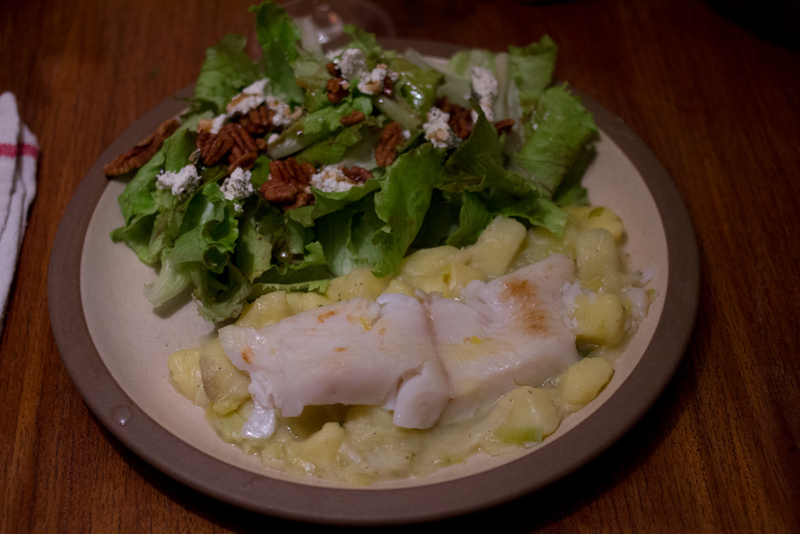 Make this if you have dinner guests you want to impress, but you don’t want to be stressed. It turns out so pretty with surprisingly little effort and tastes delicious. Like with all of Judy Rodger’s recipes, the quality of the ingredients is really important because there are so few of them. Find the freshest fish and the richest butter you can and you won’t be disappointed. Season the fish lightly with salt; set aside. Preheat your broiler and place a rack about 6 inches from it. Place the potatoes in a saucepan and cover with salted water. Bring to a boil and cook for 5 minutes, until the potatoes are soft on the outside. Drain the potatoes well and place them in a large ovenproof saute pan. 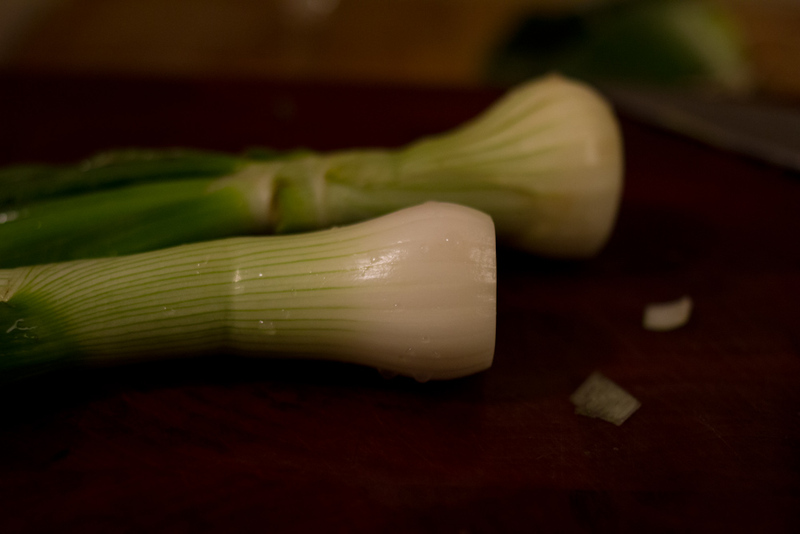 Add the leeks, thyme, chicken stock and vermouth. Set over medium heat and bring to a boil. Cook for 10 minutes, stirring occasionally. Add four tablespoons of butter and swirl the pan to melt the butter. 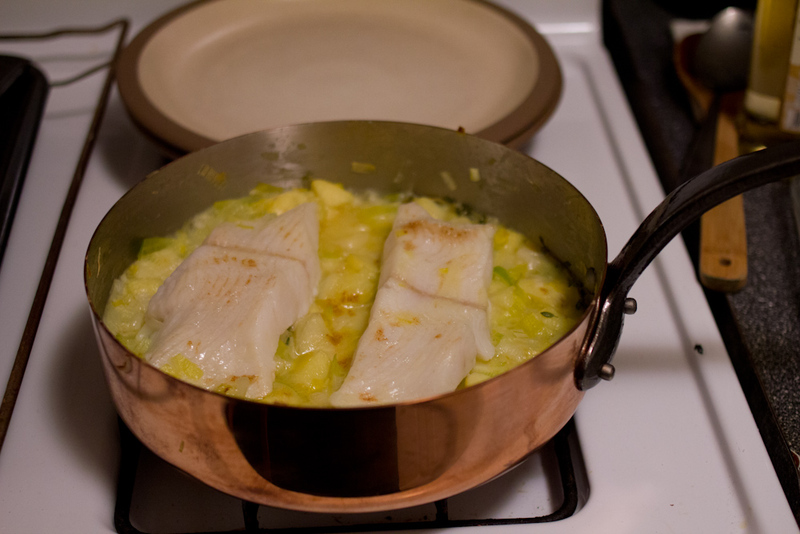 Reduce the heat to low and add the fish fillets. Baste them with the buttery broth. 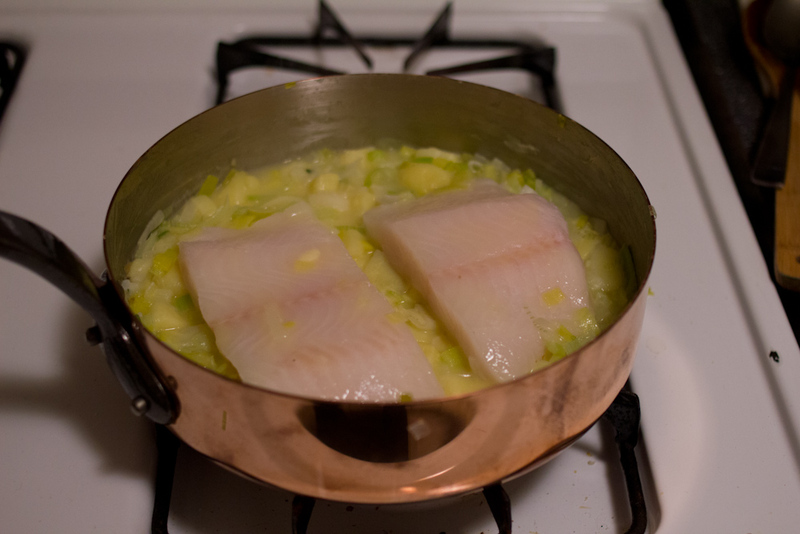 Place the fish under the broiler and cook until the surface is lightly gratineed, about 6 minutes. The liquid should be boiling. Cook a minute or two more and remove from the oven. Set the fish aside in a warm place. 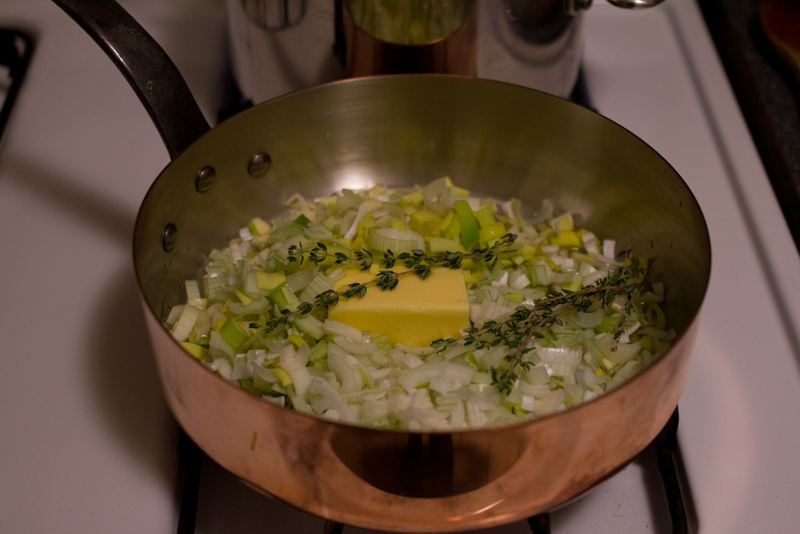 Place the saute pan on a burner over medium heat to thicken the potato stew, about 3 minutes. Add the butter and a little white wine vinegar. Season with salt and pepper. 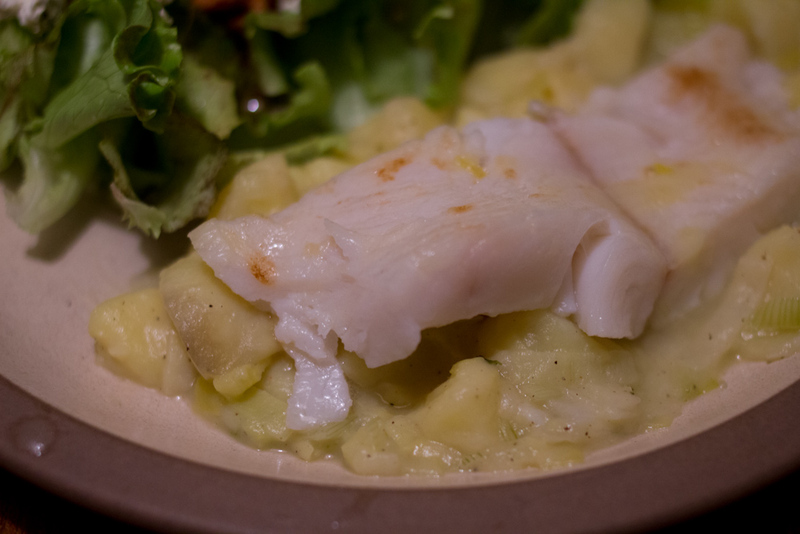 Place several ladles of the hot potato and leek stew on a plate. Top with the fish fillet and serve.